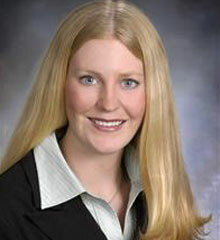 Anne Barrans has been a Real Estate Broker in Central Oregon since 2006. She has a passion for showing homes of all kinds and thoroughly enjoys working with people to help them find their dream home. Anne worked for DR Horton-America’s Builder- for the first four years of her career. During this time she was the primary listing agent for DR Horton’s community neighborhoods in Bend and Redmond. Anne and her husband Timothy recently opened Snap Fitness—a 24 hour fitness franchise in NE Bend. She enjoys the challenges of owning a business with her husband, and helping people meet their fitness goals. Anne absolutely loves Bend, Oregon! She and her husband enjoy kayaking, hiking, backpacking, mountain biking, snowshoeing, skiing and road biking in this beautiful area. She loves the mountains and 300 days of sunshine in beautiful Bend! Please give me a call at 541-420-4738.